Ritar was established in May, 2002. Within a few years it rapidly became one of China's leading lead acid battery and power supply unit manufacturer in China. Currently, the Company has 19 production lines and three manufacturing facilities located in Shenzhen, Shanghai and Hengyang. The Hengyang plant also manufacturers lead plates for use in China Ritar Power's batteries. The Company sells its batteries to over 800 customers who are located throughout 81 countries. 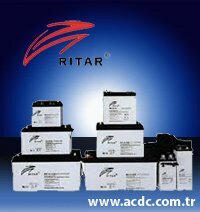 In 2006, Ritar launched its nano gel battery that was developed using colloid technology for storage of renewable energy, specifically wind and solar power. The nano gel batteries are widely applied in alternative energy storage for applications such as solar street lights, traffic lights, highway SOS systems and household lighting. The batteries are priced up to one-third to one-half less then the price of the Company's international competitors.